Dragonmaster Outcast is fantastic. 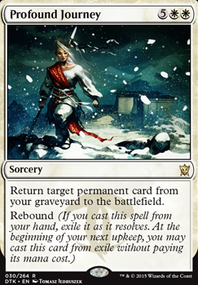 Sometimes I play it early just to see if they have removal since I can get it back with Den Protector or Greenwarden of Murasa . Woodland Wanderer might be sketchy include because of Converge but I figured an on-flavor (elemental) 4/4 for 4 with upside isn't half bad. And I've cast it with Unknown Shores and/or Shaman of Forgotten Ways a few times to get an extra counter or two. Thanks for the ideas Feyamius. I have play tested most of what you have suggested. Especially the Gateway Plaza,Rupture Spire and the Transguild Promenade. I have found that these lands slow the deck down quite a bit. This is the reason I run the Shimmering Grotto and the Unknown Shores and also the Terramorphic Expanse/Evolving Wilds package. Most of the lands (Gates) enter tapped. The Spire, Promenade and the Plaza enter tapped as well and require you to set yourself back even further on top of that by having to pay to keep it in play. They are no good early game. Late game, they can help but by then you should have yourself set up and not need them quite as much. The Opal Palace and Path of Ancestry will eventually be in here. I don't have extras for this deck yet. I have played Crop Rotation in the deck. I took it out to add the Search for Tomorrow. I found that it was more times a dead card. I went for ramp instead. I will likely try to add more ramp in the future. It's extremely important to make the land drops and also to get a head of your opponent as this deck plays as a control deck 99% of the time. Encrust and Arrest have been solid most of the time. They fit the deck quite well. I'm happy with them. 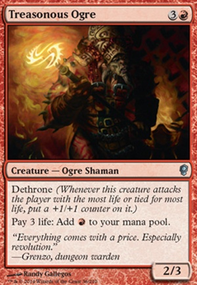 With Unmake, The cost is hard to come up with in a 5 color deck. Soul Manipulation will go in for Remove Soul. Surprised I overlooked that. As far as adding a Displace. I've thought about it. 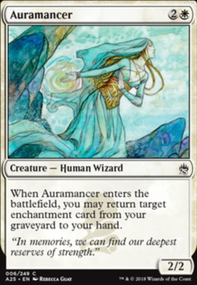 Although I have shot myself down due to the Drift of Phantasms I play which can be used to search for it (Like running 2 copies) and also running the Izzet Chronarch and Mnemonic Wall the Ghostly Flicker gets recycled and abused. I see no need to add a second flicker effect spell. The utility lands other than Bojuka Bog don't net me enough benefit to run them. Halimar Depths and Mortuary Mire are the only other two I'd consider. Thanks for the input. Much appreciated!!! I noticed you had Arid Mesa in there but no basic mountains or plains which would make it useless unless cards like Volcanic Island counts as technically they are both types. I also noticed that you have many lands that sacrifice themselves for a specific color or two specific colors I think it would be beneficial to add some three color lands like Frontier Bivouac, Opulent Palace, Crumbling Necropolis or Savage Lands. Rupture Spire and Grand Coliseum are good too. Unknown Shores is another option if you still need more multicolored. discipleofgary73 on A Sliver Deck With No Slivers?!! Okay, I'm back! Some good color-fixers that I have found helpful in 5 color decks: Ancient Ziggurat, Thran Quarry, Reflecting Pool, Opal Palace, Holdout Settlement, Unknown Shores, and Cryptolith Rite. I would personally swap some of these for lands that enter tapped. It'll help speed up the land base while still making sure you have good color options. You can also go with things like Zendikar Resurgent, Mana Reflection, and Mirari's Wake. I would also consider shifting the and base to be more basics and using fetch cards like Myriad Landscape and the panoramas to thin the deck and get even more creatures out. Obviously you'll have the tutor ability going strong, but this will help early game and also give you protection from things like Blood Moon and Ruination, which would make this deck scoop 9/10 times. 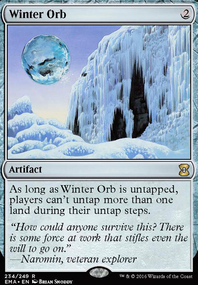 Some other cards that could speed things up are the classic Bear Umbra, Urza's Incubator, and Cryptic Gateway. With such a creature-heavy deck, the latter can be really powerful because you can use your weenies or important cards to help get more ground-pounders out. 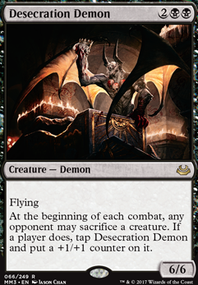 It also allows you to put a creature on the battlefield during an opponent's turn at instant speed, which in this deck could be a killer surprise. I'd also consider adding Call to the Kindred in. It's a weird card to play and can make a creature a big target, but it would probably get you a free creature every turn. I think my only other suggestion is Distant Melody, if you find your running out of a hand later in the game. Again, I really enjoyed looking this deck over. Great work! I see you have Gemhide Sliver but no Manaweft Sliver? Let me start by saying that these two mana slivers are the best two cards in your deck and you should run both. When these come out, your deck can just go bonkers. In fact, I'd go as far as saying that you should try to run even more of these effects. Cryptolith Rite and Song of Freyalise also give the same effect attached to an enchantment. Now, ramp isn't the only reason you want these cards. These cards are the primary pieces in your Commander's combos. Once your commander and a mana sliver are in play, you just need one more piece. Two cards can fit this last role, and I run them both in my Sliver deck. Paradox Engine and Intruder Alarm. What happens is that when your Commander is in play and you can tap for at least 4-5 mana with your creatures, then you can use his ability to search for a 1-2 CMC sliver, play it, then up tap all 4-5 slivers. Now your mana base just grew, assuming you have haste (which you can search for first), and you can do it again until all your 1 CMC slivers are in play, each one gaining you more mana than the last. Then from there you can proceed to put every single sliver in your library directly into play unless some one can stop you. It creates an infinite combo where infinite is defined as the number of slivers in your deck. If you're going all out for Queen and Legion, then you'll want to make sure you've got this combo in your deck too. It's slivers 101. 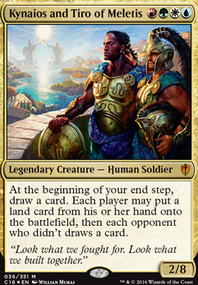 Training Grounds is great with your commander. Makes the combo easier and just makes both abilities easier to play. Also works with Necrotic Sliver. I've been working on my Sliver EDH list for years now, so it isn't exactly budget. But it started out that way. Here's a link if you're interested.. I'd really suggest taking a look at the mana base. My mana base is still pretty much fully budget and it reaches 5 colors a lot more easily than what you have here. You want to run all 10 tri-color lands, this really helps hitting your 5 colors. Then, there are many budget 5 color lands that help drastically. Consider Cascading Cataracts, Command Tower, Exotic Orchard, Grand Coliseum, Mirrodin's Core, Path of Ancestry, Rupture Spire, Sliver Hive, Temple of the False God, Terramorphic Expanse, Transguild Promenade, and Unknown Shores. Not having 5 colors available will hurt you 10x more than having lands come into play tapped. 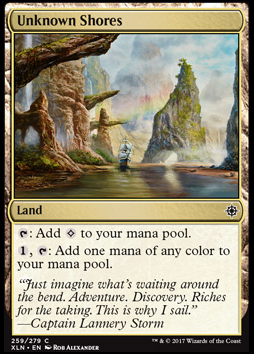 I would add more lands that produce , such as Scavenger Grounds, Guildmage's Forum, Unclaimed Territory , and Unknown Shores. I have everything that comes with the Original Pre Constructed Subjective Reality deck, and everything inside the maybe board are all things that i can either afford or actually own. I dont get a ton of chances to play commander other than 1 or 2 games on the weekend, but i want to get this deck all polished up before my friend holds a party that will be hosting Commander as one of the for fun events at his party. My biggest problem is that i lack the ability to polish decks when i am new to the format, and im feeling just as lost as i was when i started in standard. if it helps, the cards i own on the Maybe Board are Gonti, Lord of Luxury, Kaya, Ghost Assassin, Esper Panorama, Temple of the False God, Venser, the Sojourner, Augury Adept, Oath of Teferi, Council of the Absolute, Sunken Hollow, Unknown Shores, Prairie Stream, Spell Queller (might have more but thats all i can remember off of the top of my head.